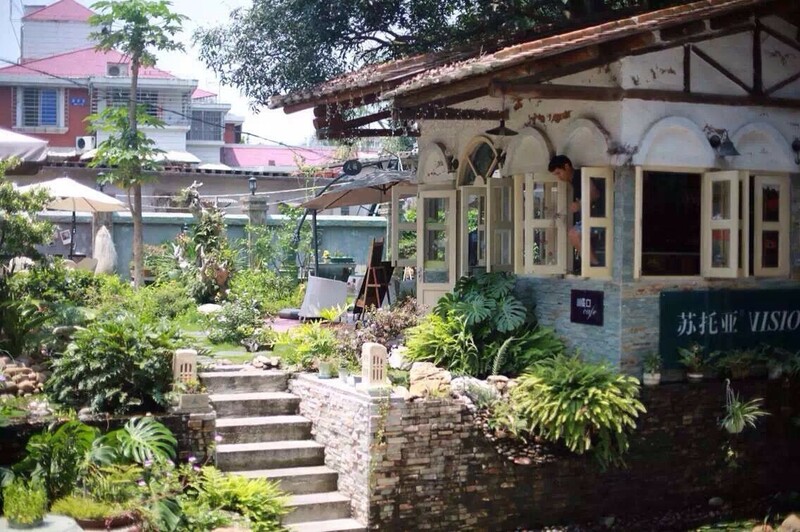 This special, relatively isolated bed-and-breakfast and café has a garden uphill from the new Kulangsu Gallery of Foreign Artifacts from the Palace Museum Collection (Gu Lang Yu Wai Guo Wen Wu Bo Wu Guan 鼓浪屿外国文物博物馆). Because of its elevated location, the space gets terrific sunlight. On a beautiful day, you may be tempted to hang out all day on their slightly ramshackle collection of tables and chairs in assorted shapes, sizes, and colors, and breathe in Kulangsu’s informal, down-to-earth charm. But the real highlight is the delicious Taiwan-style pork rice (tai wan lu rou fan 台湾卤肉饭), with tender, deeply savory braised shreds of fatty pork meat and its delicious juices flavoring a bowl of perfectly steamed white rice. If you run out of juice, ask for more. A variety of other simple dishes, snacks, and coffee drinks, and beer are also served.